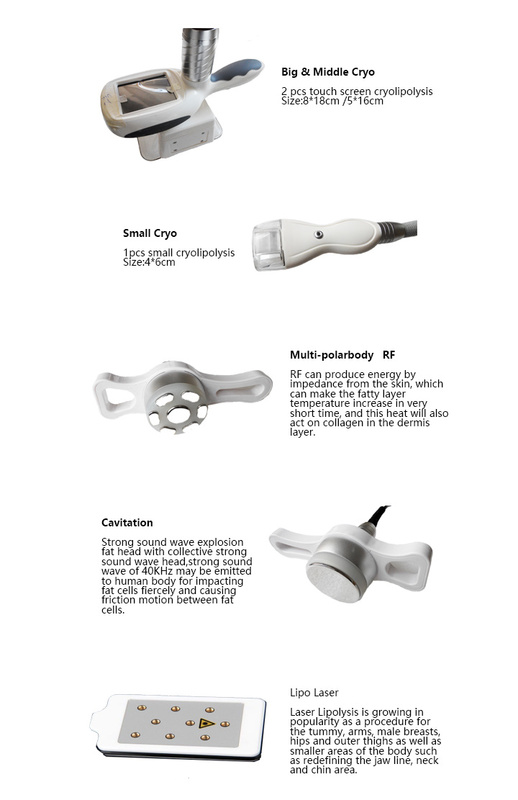 YiChao is a high technology medical beauty equipment supplier. Most of our equipments are TOP technology of global! 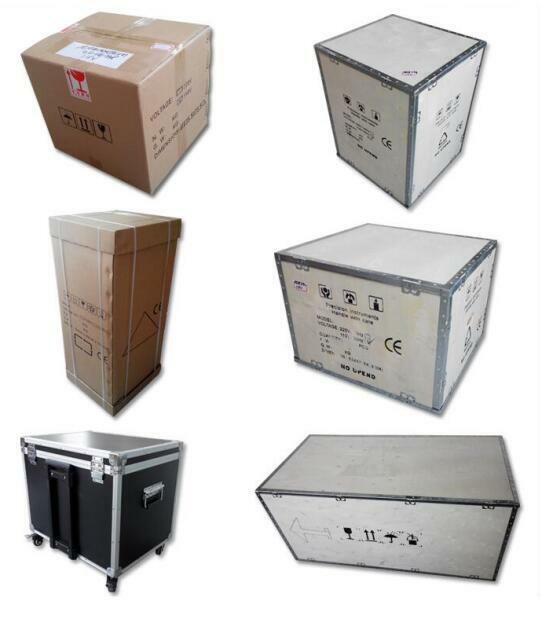 There is no second supplier or customers can find the same equipments that we invented in China even all over the world! If you cooperate with us ,You can have a lot of loyal customers because they can not enjoy the same treatment and services elsewhere. You can quickly return the cost of purchasing the instruments. Our equipments can create huge economic benefits for you. Our three-year warranty on equipments set your mind at rest. This multifunctional machine is a high-technology beauty equipment which is suitable for losing weight safely and effctively. It includes three equipment heads to use with. 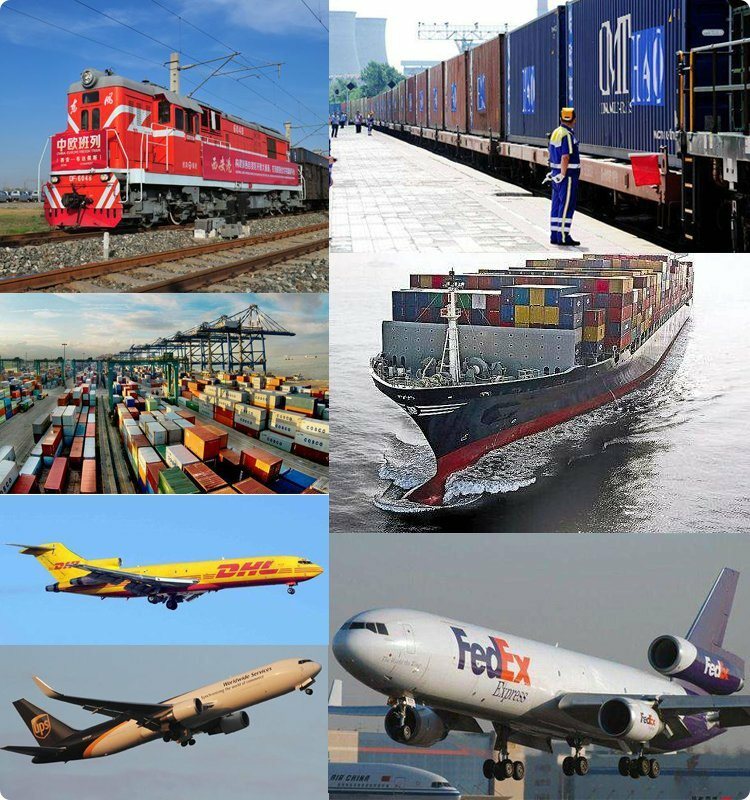 We can use them in different kinds of customers. 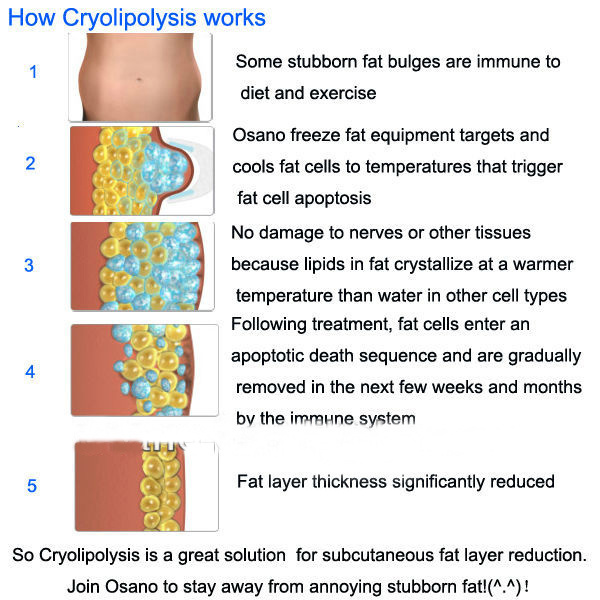 1).Cryolipolysis: a new, non-invasive way to gently and effectively reduce fat in targeted areas of the body that results in a noticeable, advanced-looking fat reduction in the treated areas. As triglyceride in fats will be converted into solid in particular low temperatures, it uses cooling technology to selectively target fat bulged places eliminate fat cells through a gradual process that does not harm the surrounding tissues,reduce unwanted fat, The contact cooling of the hand piece surface regulates the temperature of the skin and protects fine dermal structures, realizing the fast body-reshape effects while tightening skin! 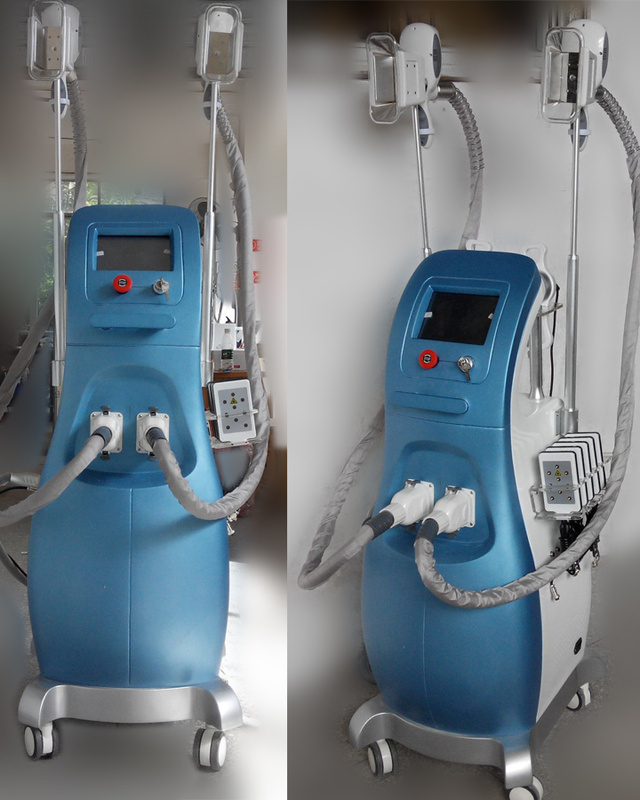 Laser Lipolysis is growing in popularity as a procedure for the tummy, arms, male breasts, hips and outer thighs as well as smaller areas of the body such as redefining the jaw line, neck and chin area. It carries fewer risks as traditional liposuction and is a less invasive surgical procedure requiring fewer incisions and resulting in less scarring. We use laser liposuction after liquid liposuction to tighten the skin.